This gingko tree played an important role in the history of Japanese botanical research (see the text). The history of Koishikawa Botanical Gardens can trace back to the beginning of the Edo Period. Under the third shogun Iemitsu (1601-1651) two herb gardens opened in the north and south of Edo (present Tokyo). When Tsunayoshi (1646-1709) was shogun, the south garden was closed and the north garden moved in 1684 to Koishikawa where he had his estate as a feudal lord before he became shogun. 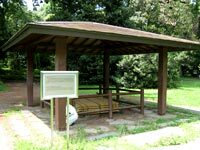 During the reign of the eighth shogun Yoshimune (1684-1751) the herb garden was expanded and a free hospital for poor people (Yojosho) opened in a part of the garden. Yoshimune undertook the first and most effective administrative reform in the Edo period. The austerity policy was in the center of the reform, but Yoshimune also took various measures in social policy. A remarkable policy was the opening of "Koishikawa Yojosho". He adopted this policy from an opinion given up to "Meyasu-bako", a box through which everybody could sell his opinion directly to shogun. Yoshimune tried to widely gather good ideas and "Yojosho" was one them. The only remaining trace of the hospital is its well. The plentiful water springing from this well was of high quality even after closure of the hospital and therefore played a valuable role in saving victivs of the Great Kanto Earthquake in 1923. Yoshimune also took up the idea of a Dutch scholor Konyo Aoki to cultivate sweet potatoes as emergency crop. Konyo successfully conducted experimental cultivation of sweet potatoes in 1735 in Koishikawa, Makuhari and Kujukuri (the latter two places are both in the present Chiba prefecture.). Thanks to the efforts of Konyo Aoki sweet potatoes came to be cultivated throughout Japan and saved many lives from starvation. 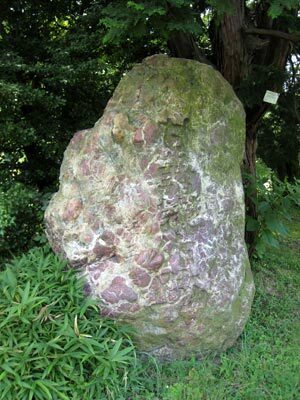 In the Koishikawa Gardens a stone monument resembling a sweet potato was erected in 1921. Okinawa in 1605 and then to Satsuma (present Kagoshima) in 1705. Therefore, we still call sweet potatoes "Satsuma-imo". In Koishikawa Botanical Gardens a hundred specimens from the earlier herb collections are presented in a special area and there we can find numerous interesting plants such as Ephedra sinica. 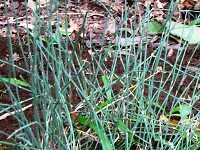 Ephedra is an interesting species in the development of gymnospermae. It was also very important as medicine during the Edo period and Ephedrin in its pure form was first extracted from Ephedra sinica by a Japanese scientist Nagayoshi Nagai in 1885. This plant is an offshoot of the plant examined by Prof. Ikeno, which is now conserved in the Kagoshima Prefectural Museum. After the Meiji restoration the gardens became a part of University of Tokyo in 1877 and a center of Japanese botanical research. 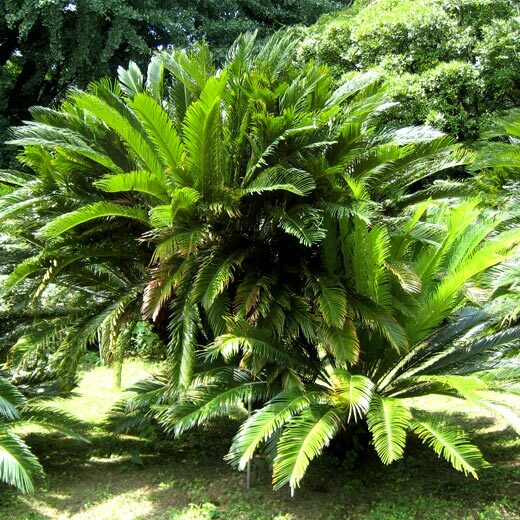 There are two famous plants characterizing the beginning period of Japanese botanical sresearch: Gingko biloba and Cycas revoluta. Spermatozoids of Gingko biloba were first discovered in 1896 in seeds obtained from this female tree (see the top of this page) by Sakugoro Hirase, who was a teaching assistant in the Botanical Institute, University of Tokyo, and was studying the fertilization and embryo development in Gingko. Spermatozoids of Cycas revoluta on the other hand were discovered by Associate Professor Seiichiro Ikeno of the University in 1896, almost simultaneously with the discovery of spermatozoids in Gingko biloba. These findings of gymnospermous spermatozoids were outstanding achievements in the early period of modern botanical research in Japan. There are also interesting plants from the viewpoint of the world history of science. The first one is a grapevine. 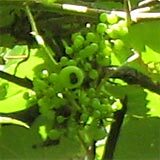 It is derived from grapevines used for study by Gregor Mendel, the founder of genetics at St Thomas's Abby in Brno, Czech Republic. Mendel tried to improve grapevines on the basis of Mendelian inheritance and gathered numerous species of vine. This grapevine was introduced by Manabu Miyoshi, the second Director of the Botanical Gardens in 1914. In the 1980s Japanese scientists discovered that the original grapevine had disappeared in Brno. Then a part of this tree was sent back to the monastery to restore the species associated with Mendel at its original place. Another interesting tree is this apple tree. In a famous anecdote, Sir Isaac Newton is credited with discovering the law of gravity after he saw an apple falling from a tree. 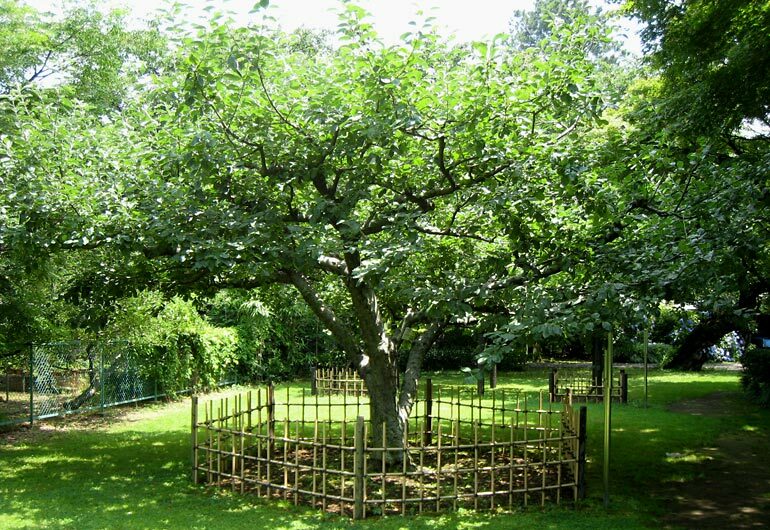 This apple tree is a graft originating from the apple tree in Newton's home. It was gived to Yuji Shibata, the former President of the Japan Academy, through the courtesy of Sir G. Sutherland, former Director of the National Physical Laboratory, England, in 1964. 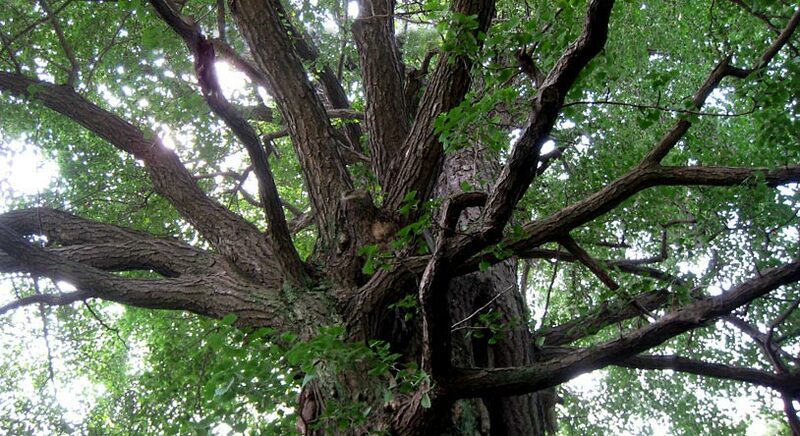 The tree unfortunately suffered from a viral disease, but was ured and rooted in the Botanical Gardens in 1981. 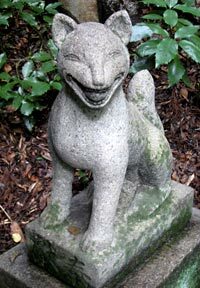 Inari shrine at the foot of the slope covered by primaryforest and a stone fox, messenger of Inari god. Botanisher Garten in Berlin (43ha) is nearly three times large and even Palmengarten in Frankfurt (22ha) is larger. Though Botnisk Have in Copenhagen (10ha) is somewhat smaller, its number of species (13,000) well surpasses the number of species in Koishikawa and it is needless to compare with Berlin (22,000). 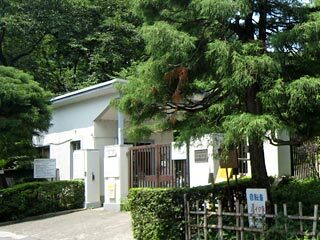 However, among 4,000 species in Koishikawa Botanical Gardens, 2,900 species are local Japanese plants and to my surprise the Gardens contain remnants of primary broad-leaved evergreen forest, characteristic of the natural vegetation of the Tokyo area. 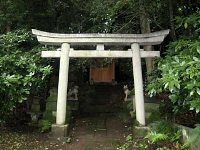 I had to go through very dark and thick woods and almost lost the way when I moved down a steep slope from the herb garden to an Inari shrine. Not many botanical gardens have virgin forests within their area, I presume. This virgin forest exists in the midst of Tokyo, which is indeed surprising. 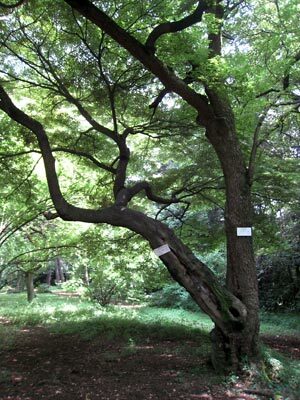 Irona-momiji (Acer palmatum - left) and haze-no-ki (Rhus succedanea -right) grows from the same place.